An aerial view of the crest of the Sierra Nevada Mountains, with Mono Lake in the upper left. Add tags for "An aerial view of the crest of the Sierra Nevada Mountains, with Mono Lake in the upper left.". Be the first. 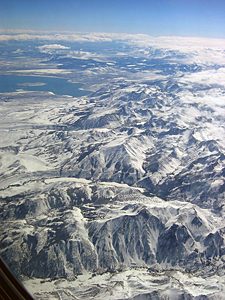 <http://www.worldcat.org/oclc/841443380> # An aerial view of the crest of the Sierra Nevada Mountains, with Mono Lake in the upper left. schema:about <http://www.worldcat.org/oclc/841443380> ; # An aerial view of the crest of the Sierra Nevada Mountains, with Mono Lake in the upper left.